Concurrently on view in the Thinkspace project room is Bygone, featuring new works by Michael Ramstead. Based out of Long Beach, California, Ramstead works with oils on canvas and creates moody portraiture inspired by the surreal and the paranormal. Looking to contemporary influences and to the historical works of the Old Masters, Ramstead combines a pop surrealist sensibility with a highly refined technical facility and attention to detail. The artist successfully captures the subtle emotive details in his human portraits. His shadowy sitters are always beautifully ominous: silent accomplices seized in a moment of witness. His paintings offer partial glimpses into the suggestion of larger narratives, some bordering on terror and nightmare, others flush with ambiguous foreboding. 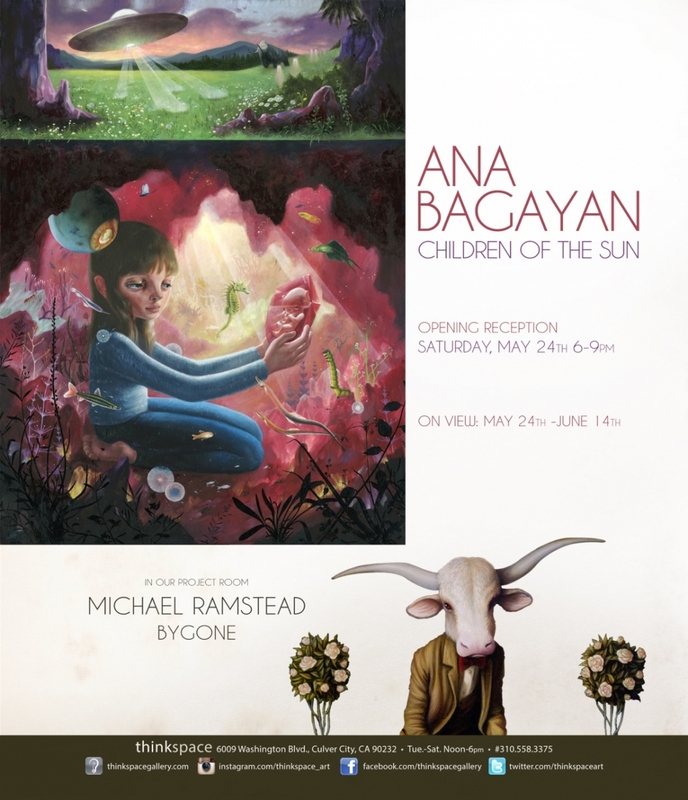 In Bygone, Ramstead extends his fascination with the psychological disquietude of the surreal to the creation of quasi-mythological hybrid creatures. 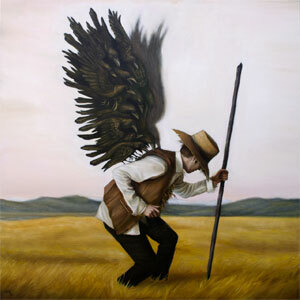 Narratively enigmatic, his works imply a world of curiosities beyond the frame. Bygone seizes upon a feeling of historical ambiguity, suggesting at times a pop surrealist take on early 20th Century Americana, or a rural “gothic” inspired by errant phenomena. Ramstead heightens the unsettling facets of the surreal through his juxtaposition of unexpected elements; combining the animal with the human, the pastoral with the nightmare and the historical with the contemporary.